Note: If the 12VDC Heated Probe is purchased at the same time as an AOA Kit, the cost is $400.00. If you are purchasing the 12VDC Heated Probe as an upgrade to an existing kit, the cost is $450.00. Heated Probe has a built in heater of 12VDC that minimizes the potential for ice build up on the leading edge of the probe. This newly designed probe is ideal for airplanes that have less than 2" of clearance in the wing inside the inspection cover. (i.e. Bonanza) This probe can be used in all airplanes. Built in heater of 12VDC. Requires a dedicated 10 amp breaker or fuse, switched, due to 7.167 amp draw. 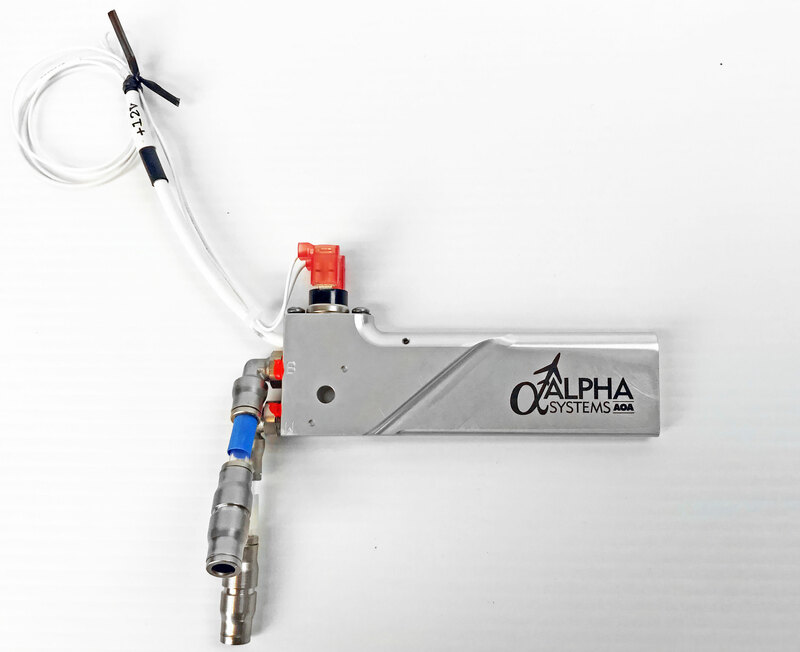 It is a drop in replacement and can be used or upgraded in the existing Alpha Systems AOA mounting plate. Probe fittings can swivel to be installed in either the right wing or left wing.